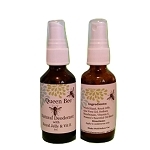 The antibacterial properties of propolis and honey make this a must for everyone with dry skin, sunburns, rashes, shingles, athlete's foot, cuts, and abrasions. 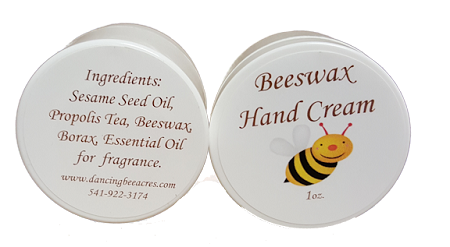 Especially helpful with dry cracked skin on hands, elbows and feet. All-natural healing cream that reduces scarring. 1 oz.